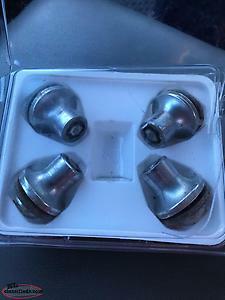 2 NEW sets of chrome lug nuts with locks. 1/2 20. FOR SAL 6 Titanium studs B/2HN/W size 1 1/8"-8UN *165l (TI Gr.2) Supplied by Xmetech with washers & nuts price $300.00 never used for all 6 ph 579-0442 These are stronger and lighter then steel. 4 security lug nuts requires Toyota key to remove, one for each tire. Came off 2010 Toyota Tundra, will fit any Toyota truck. 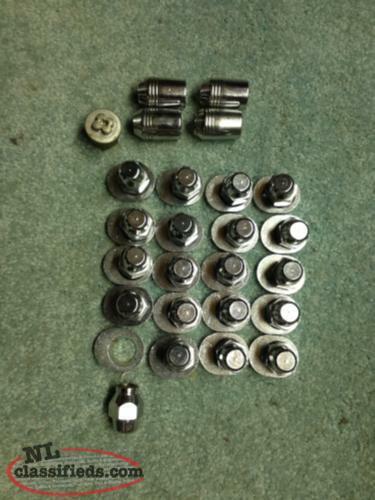 Hi, I'm interested in the 'Chrome lug nuts/washers/locks' posted on NL Classifieds! Please contact me if still available.